In the mid 20th century the people known as the Logbara were a diverse collection of groups fleeing from different parts and having different socail and political affiliations - essentially refugees in search of a new home. 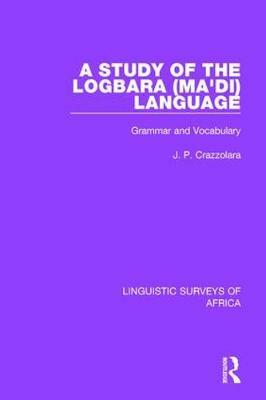 At the time that this book was originally published in 1960, existing conditions, resulting from the past history of Logbara, made it difficult to decide which dialect fo the language to choose for this analysis. The grammar as a whole in its features, details and rules is common to all parts of the country but the author chose the dialect spoken around Arua, the district headquarters of the West Nile as a baiss for the grammar and vocabulary, mainly out of considerations of practicability.